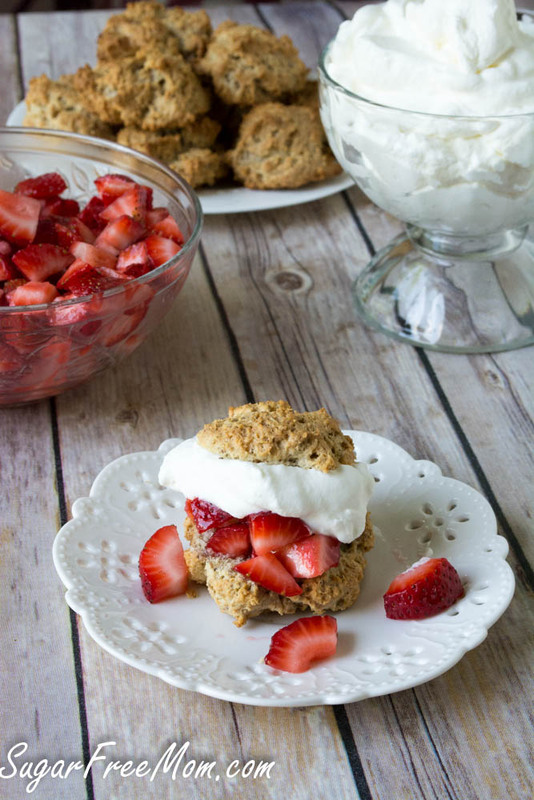 Gluten free Strawberry Shortcakes are a quick dessert to serve in the warmer summer months that can also be made dairy free. Completely sugar free except for the natural sugar in strawberries. This is the final week countdown for my cookbook manuscript deadline and while I’m working long hours to complete it and make it just right, my family still needs to eat! I can’t just seem to write and let the hubby take care of all the meals. So as I was cleaning house of some written notes, which often contain recipes on scrap pieces of paper, I found my biscuit recipe. 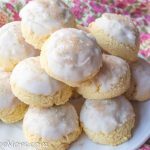 Originally it was an adaption I made to my gluten free chicken pot pie biscuit and thought that if I added some sweetness and lightened up the texture I would try it “one” day as a shortcake. Because I’m not much of an organized person with my papers, and I’ve got a few piles going on at my desk at all times, it was hidden for a bit. Not misplaced, just forgotten in one of my piles. I wasn’t actually looking for it either when I came across it, I truly was just trying to “clean” house of some of my paper piles and there it was. A little small note with scribbles all over it. Those are the best kind of recipes with spills and scribbles, don’t you think? So although I wasn’t intending to try to make any new recipes this past week and just focus on the writing of the cookbook, the foodie in me COULD not wait to make this. My scribble note for the chicken pot pie was back in the winter so with summer practically here and fresh beautiful strawberries staring at me in the fridge, I didn’t even need to get to the store to purchase anything for this recipe. I had everything on hand already. How could I not make this right? This recipe was one of the easiest desserts I’ve made in a long time. 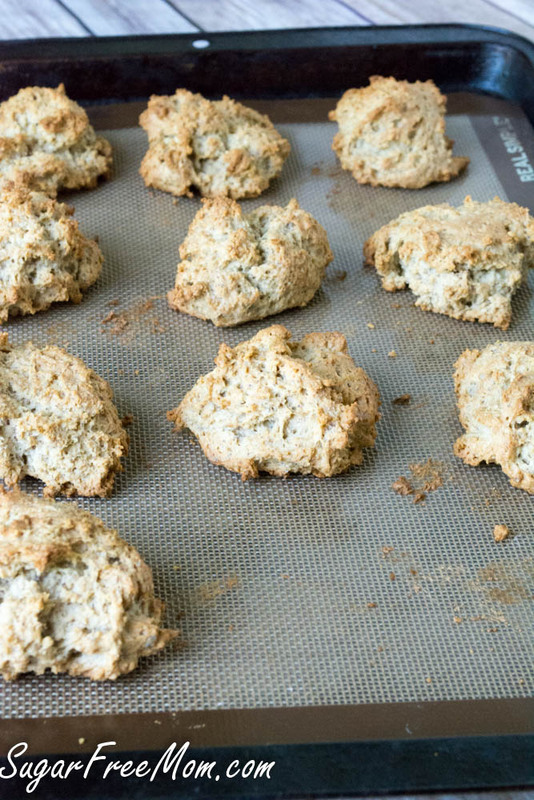 The biscuits take little time in the food processor and bake in under 30 minutes as well. While baking you can make the whipped cream and cut the strawberries. Strawberry shortcake is certainly a crowd pleaser. 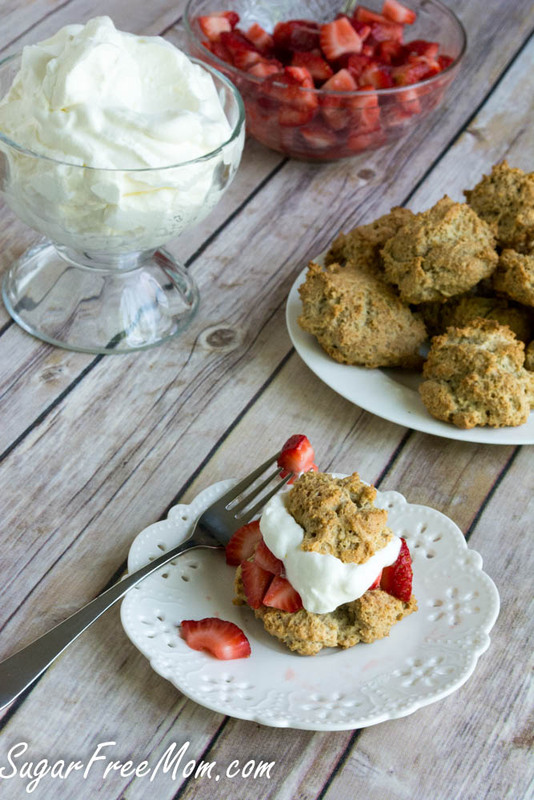 In fact my littlest man who says he doesn’t even like strawberries and never ever chooses them as a snack, LOVED this recipe, strawberries and all! 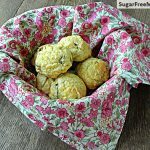 I’m not sure if it’s something about the biscuits or the fact that it’s a fun and messy dessert that is crumbly and sloppy and everyone loves it anyway. There isn’t really a neat way to eat one of these. You just have to dig in and have at it. 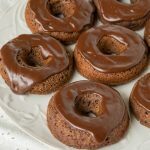 The slightly brownish color comes form the fact I added some flaxseed to increase the fiber count and also because whenever I use flaxseed like in my 1 minute chocolate cake, it always provides such a nice light texture to my baked goods. So good you may be tempted to eat two! We didn’t finish them all the first day I made them so I just stored the strawberries and cream in the fridge for the next day. I stored the biscuits in a Ziploc bag on the counter. They were still moist and tender the next day! 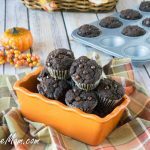 You could sub brown rice flour for another gluten free four or a gluten free flour blend. 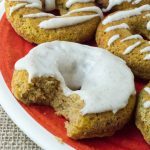 You could also sub it for whole wheat flour, but if you do you can remove xanthan gum and reduce baking powder to 1 teaspoon. If you don’t have powdered stevia, here’s my conversion chart for using liquid or pure. You can replace the milk with any milk of choice. 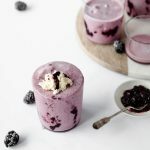 You could make this dairy free by using a vegan butter, almond milk and coconut cream for the heavy cream. 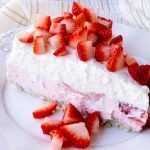 If you don’t have erythritol for the strawberries or cream, just refer to the conversion chart to replace it with stevia or replace with another sweetener of choice. I used Bob’s Red Mill gluten free rolled oats, brown rice flour and flaxseed meal. In a food processor blend rolled oats, brown rice flour, flaxseed, baking powder, xanthan, salt and stevia together. Add butter and pulse until flour has crumbles the size of peas. Blend in egg and milk until dough forms. Spoon about 1/4 cup mounds of batter onto a silpat or parchment lined baking sheet. Should make 12 small free form biscuits. Allow to cool before slicing in half and adding strawberries and cream. 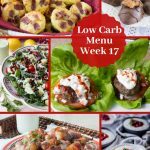 This recipe looks absolutely amazing! Really wonderful and good for you too! Such a fun summer recipe, I can’t wait to try it! 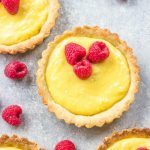 Looks fantastic Brenda – perfect summer dessert! This looks so good and love that there’s only natural sugar in it! 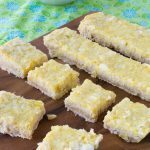 One of my favorite summertime desserts! Looks just great and I LOVE your shortcake! 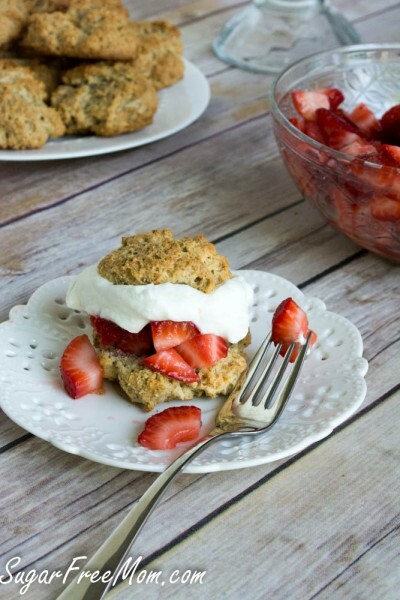 Love these healthy shortcakes! 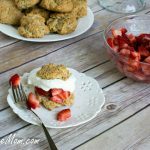 I would never thought you could make strawberry shortcake healthy, love it! I can’t believe these are healthy! They look so so good! I love this! This looks great and what a multi-tasker you are that you didn’t even plan to make something this awesome!Aren’t happy accidents the best? Great looking, I’m sure great tasting AND not full of sugar? Great job! I love strawberry shortcakes! This version looks especially delicious. My desk is piled high with things too haha. 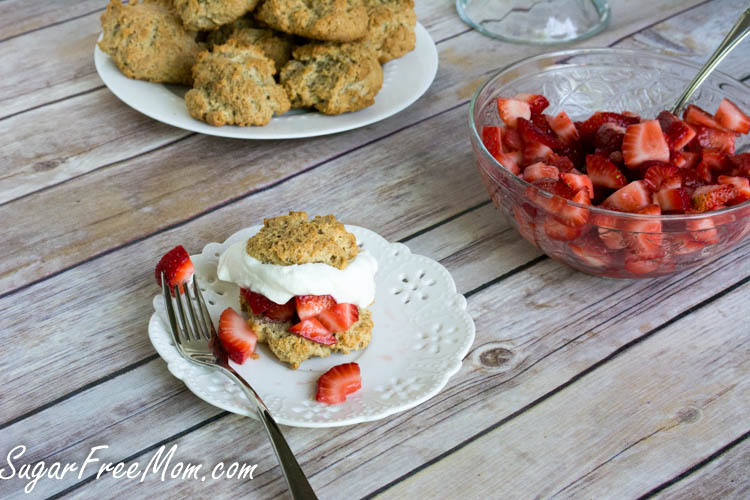 Love this strawberry shortcake! Hahaha, such is life, I need an assistant! Mmm… I think I’d eat at least 2 of these in one sitting. Because they’re healthy and (hopefully) calorie free, right? I write recipes on post it notes and paper bags. I find them months and months later. Sigh… I need to get more organized. Oh I am the post it QUEEN and then I’m looking for something, ugh what a disaster! 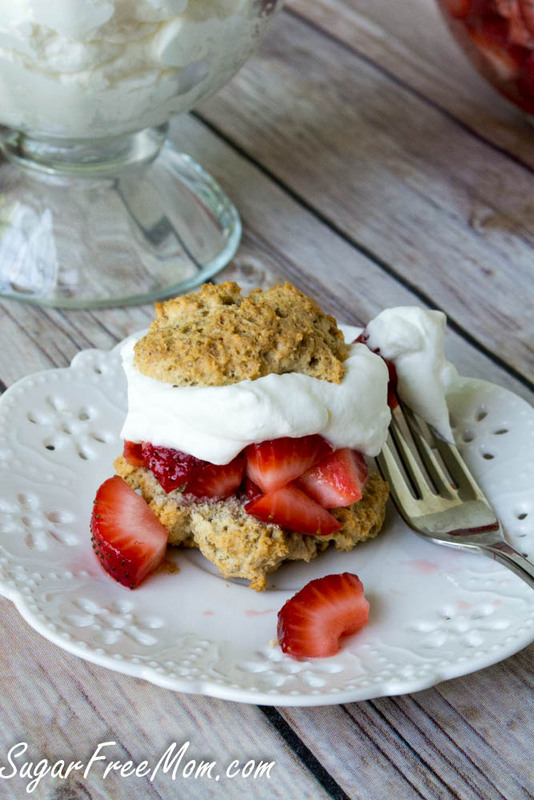 Strawberry shortcake is practically required in the summertime. I always love it when I clean my desk and find a great recipe idea that I’d scribbled on a post-it. Bonus inspiration! Perfect for the upcoming holiday!